Protection from overwintering mosquitoes in Columbia SC | Fight the bite! Winter hearty mosquito eggs? Unfortunately, yes! We’ve had a cold winter here in the Columbia area including a couple big snowstorms and even a mild earthquake – both of which are very unusual to our area. As we Carolinians anxiously await Spring, we might hope that last year’s mosquitoes were one thing that didn’t survive this winter. Unfortunately, that’s not true. Mosquitoes have a few ways to survive over winter. 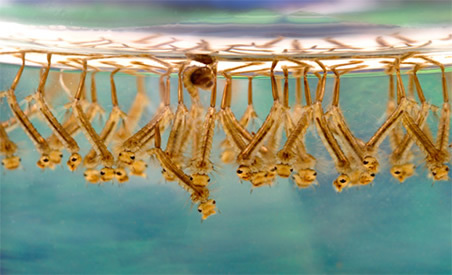 When female mosquitoes lay their eggs in late summer, those eggs can go dormant in water or even under ice to spring to life once the warmer weather hits. Some of these eggs can even survive in moist soils only to be brought back to life with the smallest pool of water and a gently elevated temperature. A small number of mosquitoes may also overwinter while in their larval stage. Often larvae will lay in wait in mud and the edges of freshwater ponds awaiting temperatures to rise so they can begin feeding again. In addition to mosquito eggs surviving winter, adult female mosquitoes can also survive the winter. They may enter into hibernation in hollow logs, burrows or even in basements in a state of torpor, a temporary state of suspension or sleep, only to emerge from hibernation in the spring. 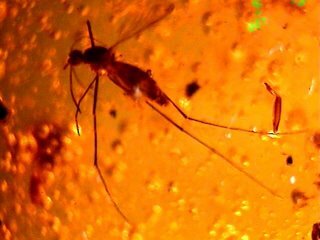 Mosquito trapped in amber that dates back to the time when dinosaurs still roamed the earth. Is there a specific temperature that will bring mosquitoes back to life? 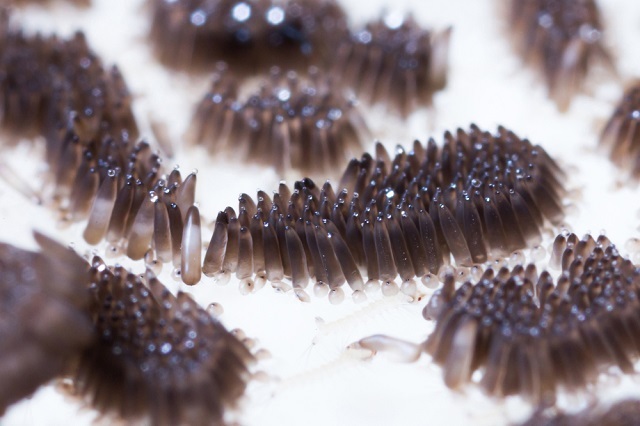 Surprisingly, mosquito eggs can even lie dormant for a couple of years. In fact, mosquito eggs can be very hearty. Mosquitoes can survive in temperatures as low as 50 degrees but they function best at 80 degrees and up. We all know how quickly our temperatures can get back up to 70 and 80 degrees. And, unfortunately, warmer days followed by extremely cold days still don’t lead to certain death for mosquitoes. Mosquitoes can regulate their own temperature to go into a semi-hibernation mode which is how some adult mosquitoes are alive and buzzing at the first sight of a sunny day,or biting us while we enjoy that rare Indian summer. Keep in mind that mosquitoes have been around for over 170 million years. Their uncanny ability to acclimate to diverse temperatures and regulate their own temperatures may be one of the main reasons they survived the Ice Age even when the dinosaurs did not! A good example of the mosquito’s ability to evolve to thrive in various climates is the Asian Tiger Mosquito. 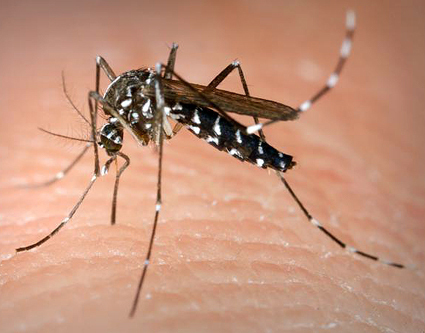 This mosquito is indigenous to Asia and South American countries which have tropical and subtropical climates. Nonetheless, it has rapidly taken up residence in areas of the US as far east as Maine. 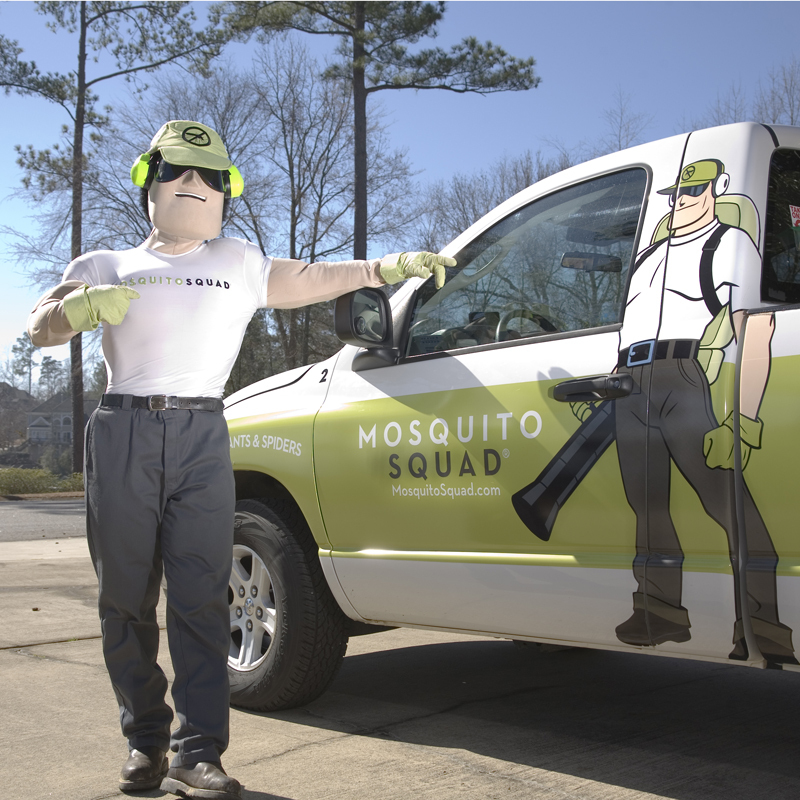 Mosquito Squad of Columbia is waging war against disease carrying mosquitoes like the Asian tiger mosquito in Columbia SC. Before you begin to panic, there are safeguards you can take to decrease the number of mosquitoes that come out to play. The first of these is routinely inspecting your property for the presence of standing water. This is especially important after a snow or heavy rain. Rainwater and melting snow can pool in the most miniscule reservoirs making the perfect spot for mosquitoes to breed. Keeping your lawn and areas around your yard free of deadfall will discourage overwintering mosquitoes to find refuge so close to your home. The average mosquito will only travel a short distance to acquire a blood meal. Mosquito species most common to the Columbia SC area, such as the Asian tiger, have a limited flight ranges of about 300 feet. This means the less areas you leave for them to breed or hibernate will reduce their numbers in your yard significantly — out of sight means out of mind. Mosquito larvae in standing water. One of the most effective safeguards when used in conjunction with keeping your property free of standing water and deadfall, is to have your property treated by a mosquito control professional. Mosquito Squad of Columbia uses a safe and effective mosquito barrier control spray to eliminate mosquitoes within treated areas while preventing more from entering into the treated area (your property). Our easy, worry free scheduling ensures there are no gaps in service. We will set you up on a scheduled interval to spray your yard in order to gain complete control over mosquitoes and their ability to multiply, breed and set up housekeeping on your turf! Our service is easy, proven, safe and highly effective. The crew at Mosquito Squad of Columbia. 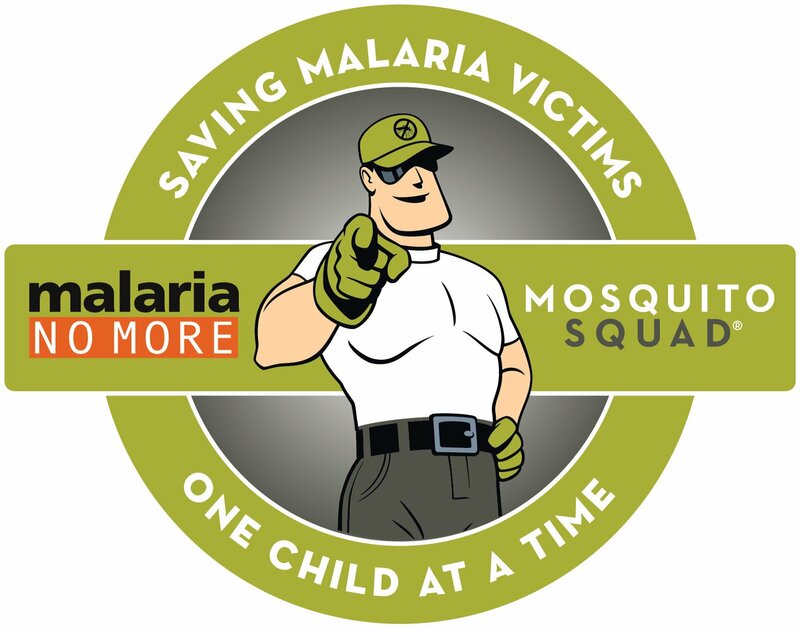 Mosquito Squad of Columbia is a proud supporter of Malaria No More.